This ‘extraordinary phenomenon of the Russian spirit’ was surprisingly most at home in a fairly circumscribed area in the heart of St Petersburg. Our only brush with urban Russia’s underbelly – over the course of the three weeks we spent travelling around the country – happened at a place that wouldn’t have surprised Fyodor Dostoyevsky. We were coming out of the Vladimirskaya metro station in St Petersburg on our way to the Dostoyevsky house-museum at 5/2 Kuznechny Perelouk just round the corner. I had a large city map which I had very foolishly opened out in full, trying to locate the Church of the Vladimir Icon, which I knew was nearby, where the writer used to pray regularly. Hunched over my map, I didn’t notice where the three burly men who suddenly accosted me had sprung from. In animated Russian, they asked me the way to some place I hadn’t heard about. The next thing I knew, they had pinned me to a sidewalk wall – pretty much hiding me from view of passersby. I felt a hand grasp at my coat pocket where my wallet, stuffed with a wad of rouble notes I had just acquired by exchanging dollars, bulged conspicuously. I gripped that hand hard and shouted ‘Politsia’ in panic. My friend who was a few yards ahead of me, taking in the sights and sounds of a beautiful summer’s day, looked back in my direction, surprised. My three uninvited guests vanished into thin air. A strapping young police officer manning the Vladimirskaya Prospekt traffic light had started to walk towards me when I beamed a big smile back at him. Reassured, he turned away. My wallet had survived the ambush. 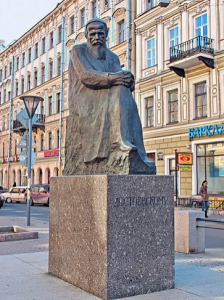 Dostoyevsky’s statue near Vladimirskaya metro station, St Petersburg. A few minutes’ walk, down Kuznechny Perelouk (Russian for ‘lane’) and past a number of grandmotherly babushkas vending cherries, mushrooms, cucumber and the like on the pavement, took us to the museum. It is an apartment block where Dostoyevsky had lived twice: briefly in 1846, when The Double, which has intrigued and charmed critics in equal measure, made its appearance; and for the last two-and-a-half years of his life (October 1878 to February 1881), when he wrote his last major work, The Brothers Karamazov, one of the landmarks of 19th century fiction. The living quarters were lovingly recreated on the basis of memoirs left behind by wife Anna and some of the writer’s friends and the items displayed here came both from the family heirloom as well as from donors. An excellent audio guide, available in all major European languages including English, helps the visitor around the museum. Four years of hard labour in Siberia followed, then a spell of compulsory military service. It was only in 1859 that he could return to Petersburg to pick up the threads of his literary career. Life was hard, and the writer was often deep in debt, obliging him to move house often enough so as to steer clear of his creditors. Indeed, Dostoyevsky is believed to have lived in as many as 20 apartments, all within a radius of two miles of Petersburg’s Sennaya Ploshchad (Hay Market Square) in the 30 years he lived in the city as an adult. The Kuznechny Perelouk apartment, close to the Griboedov Canal, is also no more than three kilometres from Sennaya. 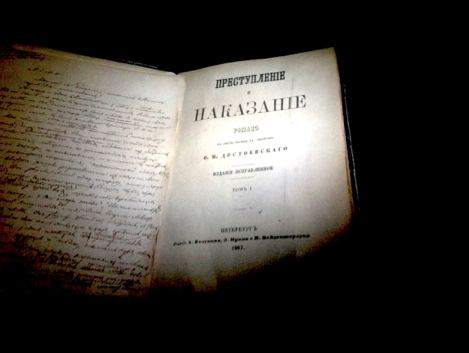 A copy of Crime and Punishment in the museum gallery, with hand-written notes on the inside cover page. The yellow guardhouse, or the Police Bureau, where Raskolnikov is interrogated, exists and is functional till today. Dostoyevsky himself was held for two nights in the same Guardhouse after his arrest in 1849. The story of Dostoyevsky’s life bristles with many extraordinary episodes other than his return from death’s door as well. For years, he was a compulsive gambler who often teetered on the brink of bankruptcy and yet, when both his (first) wife Maria and brother Mikhail died in 1864, he found himself as a single parent to stepson Pavel as well as the sole provider for his brother’s family. He was perhaps the first major writer who engaged the services of a stenographer when he found it hard to meet deadlines on commitments made to publishers. When Anna Snitkina, the able stenographer, became his wife in February, 1867, Dostoyevsky had no money with which to take her on a honeymoon. But eventually, when they did proceed on the honeymoon in Europe in April, they never returned to Russia till more than four years later, in July, 1871. The Idiot was published in 1869 when he was still in Europe while Demons (or, The Possessed), another major work, came out in 1872. Dostoevsky had had epileptic seizures off and on since his youth, and Sigmund Freud later studied the writer’s symptoms in detail from extensive medical and other records. Part of the MS of The Brothers Karamazov are also on display here. One particular detail is bound to stay with the visitor. When Dostoyevsky died in the evening of February 9 (January 28, by the Julian Calendar which was then in vogue in Russia), Lyubova scrawled the words ‘Papa died today’ on a matchbox. The matchbox, with the child’s scrawl, is still preserved. Also on view is the wall-clock hanging in Dostoyevsky’s study when he died. 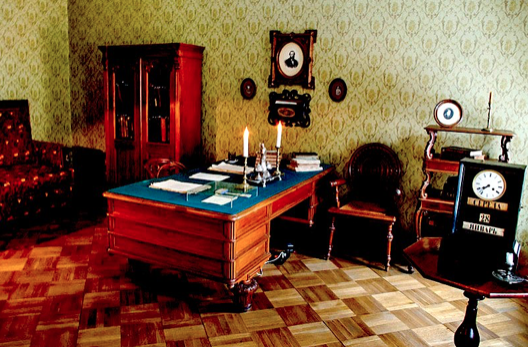 Today, the clock can still be seen on a stool by the side of his writing desk, its hands frozen at 8.36 pm on January 28, the precise time of his passing. 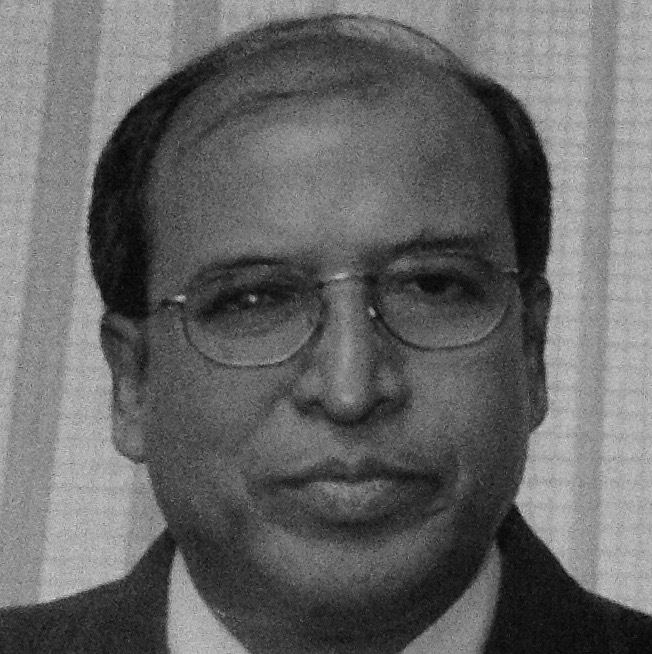 Anjan Basu is a writer, translator and commentator living in Bangalore. He can be reached at basuanjan52@gmail.com.